Today, we’re providing you with a quick snapshot of what’s happening in five hot spots around the globe — where your generous support is literally helping people cope with and recover from disasters and crisis situations. Thank you, and please continue to stand by us as we respond to other disasters around the world. The first U.N.-declared famine of the 21st century, caused by a convergence of political strife, drought, and increasing global food prices, is affecting more than 12 million people in four countries in the Horn of Africa: Somalia, Kenya, Ethiopia, and Djibouti. More than 30,000 children from Somalia alone have perished of acute malnutrition and other related illnesses during the past three months, and hundreds of thousands have fled into refugee camps scattered throughout the region. Forecasters expect the drought to continue until December, so millions more are at risk. To add to the misery of Somalis suffering in the drought, an epidemic of cholera has begun ravaging survivors in the Mogadishu area. 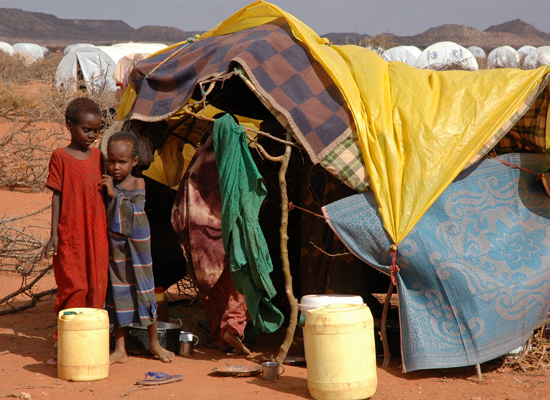 World Vision teams are staging relief operations in northern Somalia, Kenya, and Ethiopia. We are providing food and medical supplies, clean water and sanitation, and have begun airlifting tents. Read more posts about hunger. 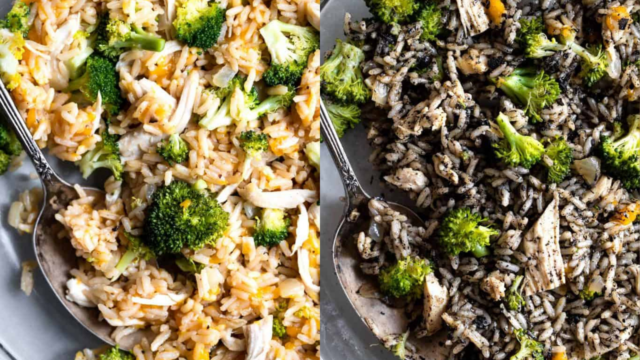 Donate to World Vision’s East Africa hunger crisis fund. In April, devastating tornadoes ripped through portions of Alabama. Then in May, one of the deadliest tornado seasons on record ploughed through Joplin, Missouri, leaving thousands of people homeless in its wake. A tornado also ripped through northern Minneapolis, leaving hundreds homeless. World Vision’s response teams are now helping families recover in Minnesota, Virginia, North Carolina, Missouri, and Alabama. Three mobile distribution centers (53-foot trailers containing disaster relief products such as personal hygiene kits, cleaning supplies, and shoes for children) were deployed to the area — the first to Tuscaloosa and two more to Joplin. The Tuscaloosa distribution served more than 4,000 survivors. World Vision also provided 1,700 stuffed back-to-school backpacks for students in Tuscaloosa. In the tornado zone in the Twin Cities, World Vision distributed tornado relief products to 16 local partners, including churches, organizations, and schools — enough to help 2,810 children and 3,215 adults. 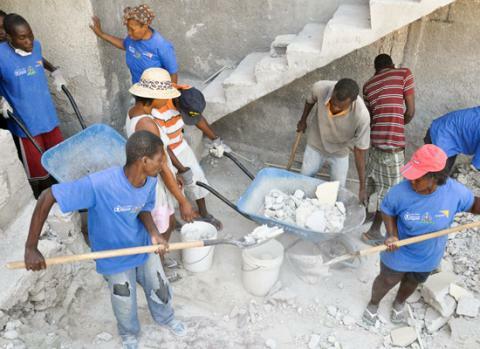 World Vision also continues to assist with the provision of storage sheds and building supplies to affected families. Read more posts about our response to natural disasters. Donate to our disaster response in the U.S.
A magnitude-9.0 offshore earthquake and resulting tsunami on March 11 claimed approximately 16,000 lives in Japan, with nearly 5,000 more still considered missing. A half-million people were evacuated from their homes, 17,000 of which were completely destroyed, with another 138,000 damaged. The disaster also triggered meltdowns at three nuclear power plant reactors, which further complicated relief efforts and raised long-term health concerns. 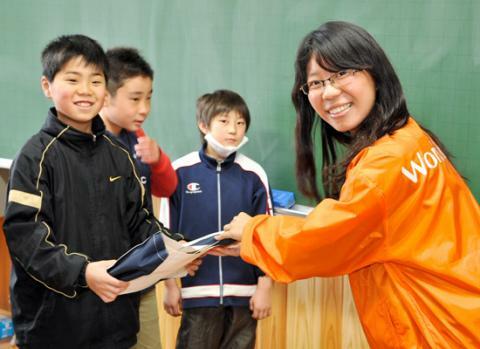 World Vision recently completed its initial relief phase in Japan and has begun a two-year recovery program. During the relief phase, we assisted in three primary ways: providing needed items, nutritional support to community kitchens, and focusing on the emergency needs of children. 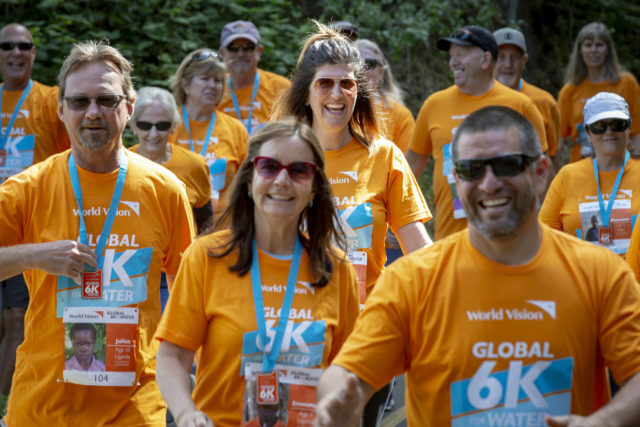 World Vision distributed water, blankets, hygiene kits, and clothes to more than 68,000 people in government-operated shelters, as well as provided washing machines. We also distributed clothing and similar items to more than 18,000 people who relocated into government-provided temporary housing. Pre-fabricated buildings and cooking equipment were provided to assist six evacuation centers, and bento boxes (prepared meals) were given to another three centers. With our focus on helping children recover, we also operated seven Child-Friendly Spaces and provided back-to-school kits, educational supplies, and school meals to more than 10,000 students. Government shelters are scheduled to close next month. So World Vision will now focus on how to most effectively help people transition from the shelters into other housing options. Read more posts about Japan. Donate to World Vision’s disaster response fund. 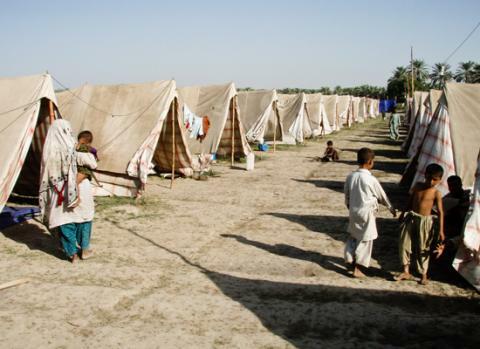 Last year’s floods were the worst in Pakistan’s history and engulfed an area the size of the United Kingdom. More than 20 million people were affected. The floodwaters destroyed crops and more than 5 million acres of cropland, causing skyrocketing food prices and increasing child malnutrition rates to nearly 25 percent in the hardest-hit areas. 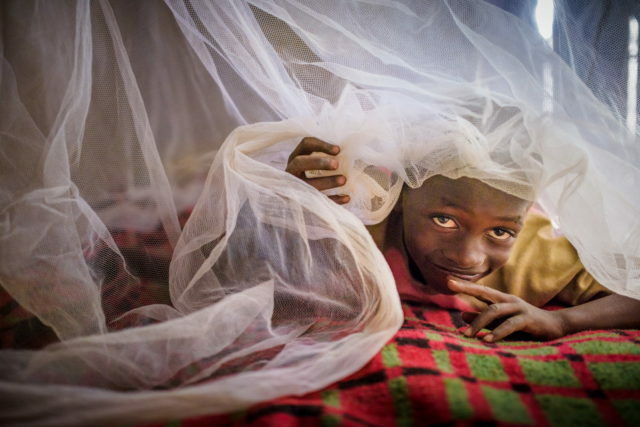 World Vision is responding to high malnutrition rates through community-based nutrition programs. We have set up more than 20 mobile clinics, which, in many cases, were the only form of healthcare available. 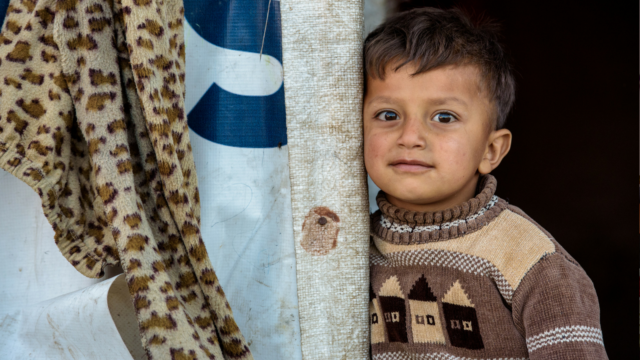 In the past year, World Vision has reached an estimated 1.5 million people with food distributions, clean drinking water, hygiene kits, blankets, and shelter. Women and infant-friendly spaces have been created across three of Pakistan’s four provinces. But the possibility of more rain and flooding puts another 5 million people at risk. World Vision is calling for relief efforts to continue for at least another year as families struggle to return to their pre-flood standard of living. More than 3 million people were affected by the massive January 2010 earthquake that left nearly a quarter million dead and more than 300,000 injured, according to the government of Haiti. A subsequent cholera epidemic claimed thousands more lives. More than 100,000 homes were destroyed and over 200,000 damaged. Rural areas were strained by an influx of people from Port-au-Prince fleeing the disaster zone. World Vision — already present in Haiti — sent additional staff, relief supplies, and immediately activated our Global Rapid Response Team to undertake the largest single-country emergency response in our history. Emergency relief supplies such as food, water, shelter, supplies, blankets, and cooking and hygiene kits were immediately distributed. Supplies were shipped into the damaged port while warehouses were set up on the Dominican Republic border and in Miami, Florida, as storage points for the overflow of supplies en route to Haiti. Even before the earthquake, Haiti was one of the world’s poorest nations, where so many already lived on the brink of survival. Eighteen months after the disaster, with recovery operations underway, Haiti now stands vulnerable to the onslaughts of a new Atlantic hurricane season. Fortunately, Tropical Storm Emily that headed toward Haiti just days ago only grazed the island and did not cause widespread damage.